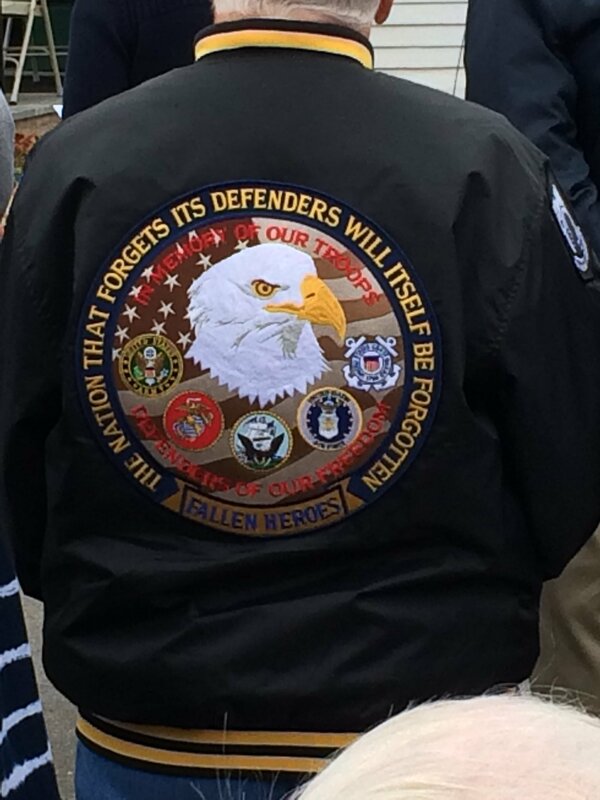 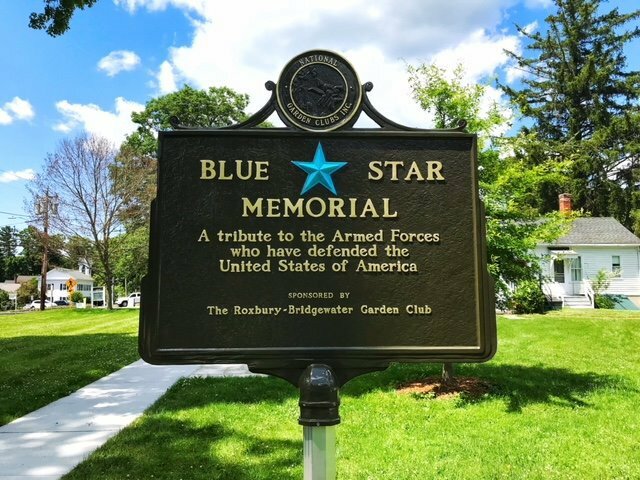 The National Garden Clubs Blue Star Memorial Program pays tribute to all men and women who have served, or now serve or will serve in the United States Armed Services Forces. A Blue Star Highway system was begun in 1945 as a way to honor veterans of World War II. 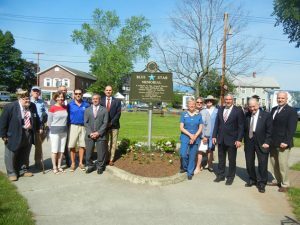 It now covers thousands of miles across the Continental United States, Alaska and Hawaii. 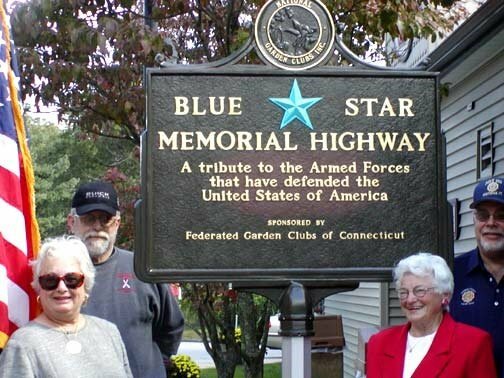 The stretch of Interstate 95 from New Haven to the Rhode Island border was designated as a Blue Star Highway in 1949. 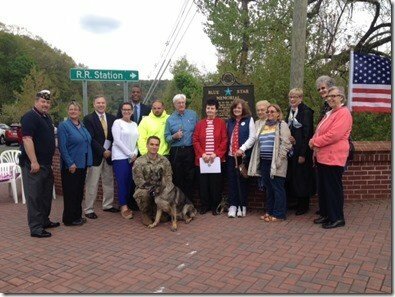 Over the years, the Blue Star Memorial Highway Marker program expanded to include By-Way markers and Memorial Markers which may be placed in locations such as veterans’ facilities, national cemeteries, parks, and other civic locations. 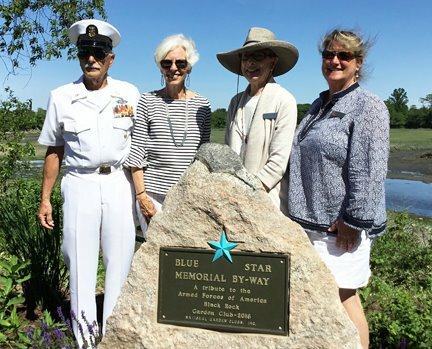 Recently, the Gold Star Memorial has been added to this program to honor families whose loved one paid the ultimate price defending the United States of America. Connecticut is proud to have 15 Blue Star Memorials. 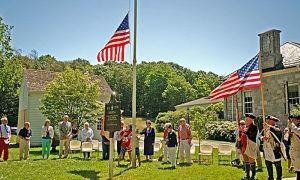 Each is sponsored by a garden club that is a member of The Federated Garden Clubs of Connecticut, Inc. (FGCCT) or by the FGCCT itself. 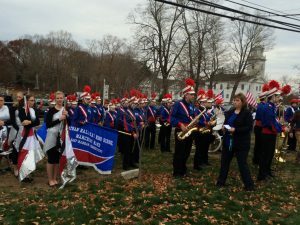 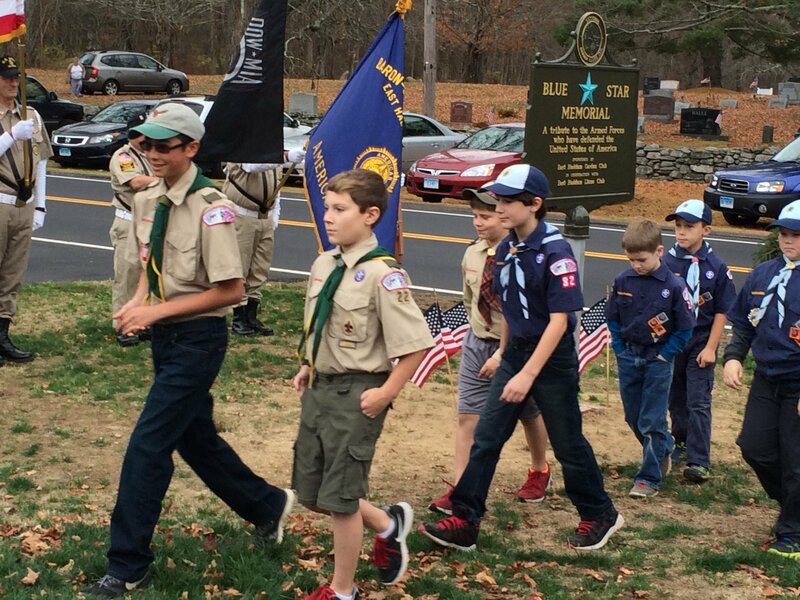 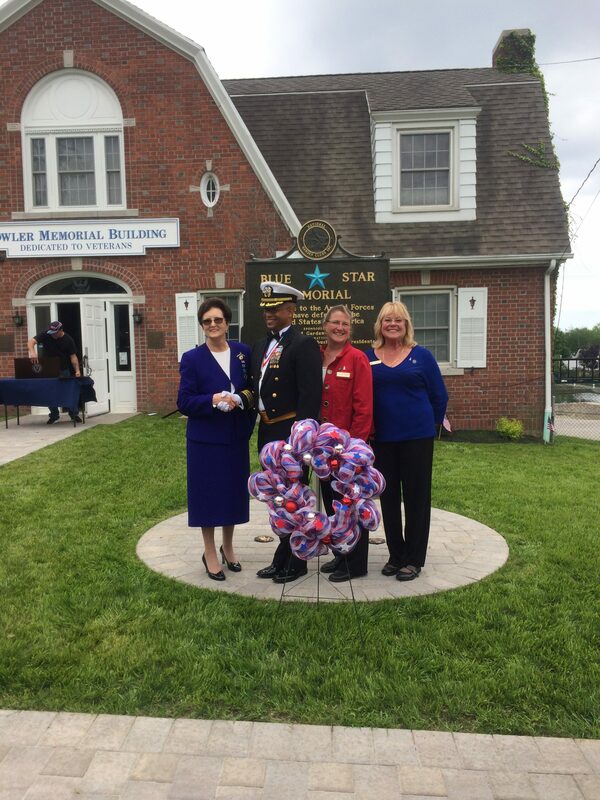 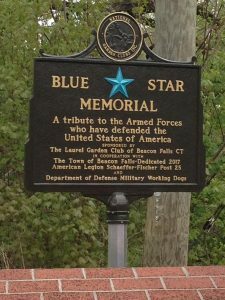 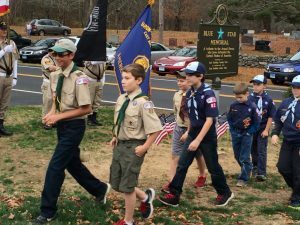 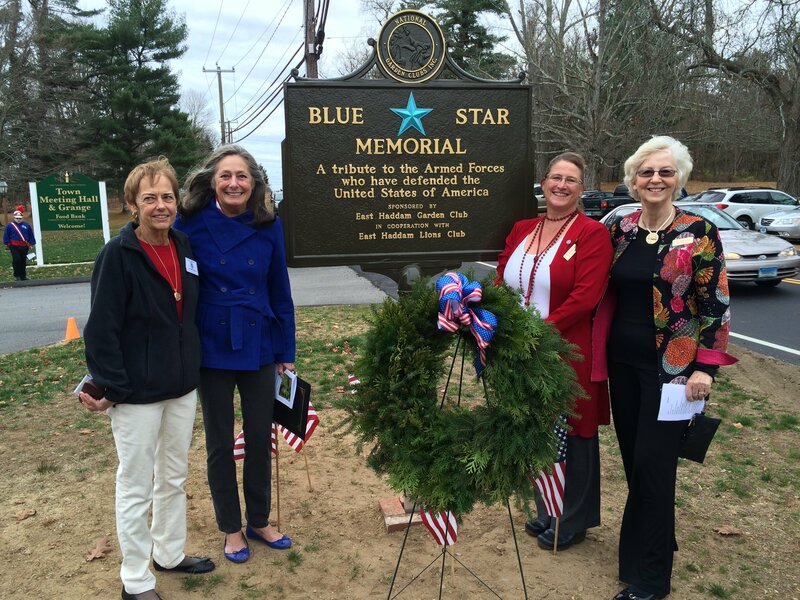 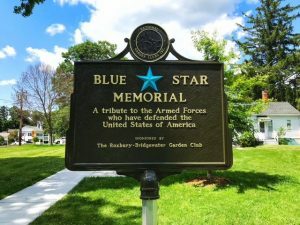 Blue Star memorials may be found in these Connecticut towns: Beacon Falls, Bethel, Bridgeport, Bridgewater, Brookfield, Danbury, Durham, East Haddam, East Lyme, Middletown, Milford, Newtown, North Haven, Roxbury and Westbrook, many of which are shown in the photos below. For a detailed list, click here. 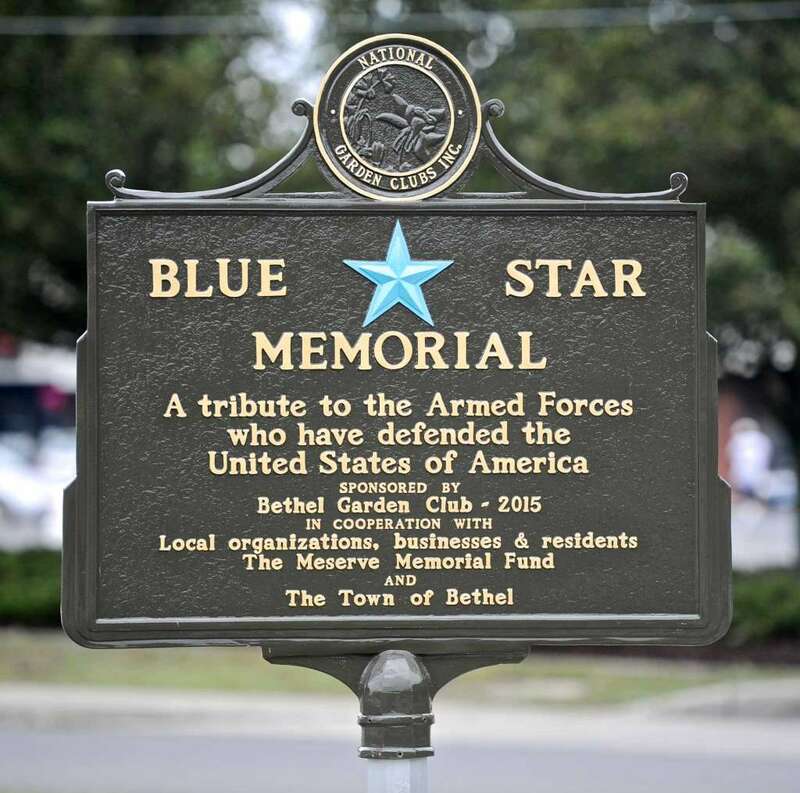 Since World War I, a Blue Star Banner displayed in the window of a home told others that a family member was serving in the Armed Forces. 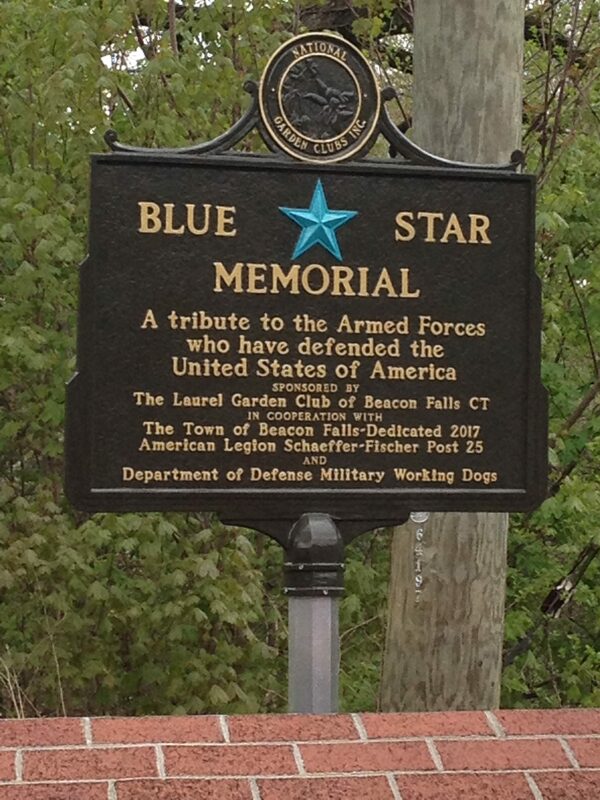 This was the inspiration for the Blue Star project. 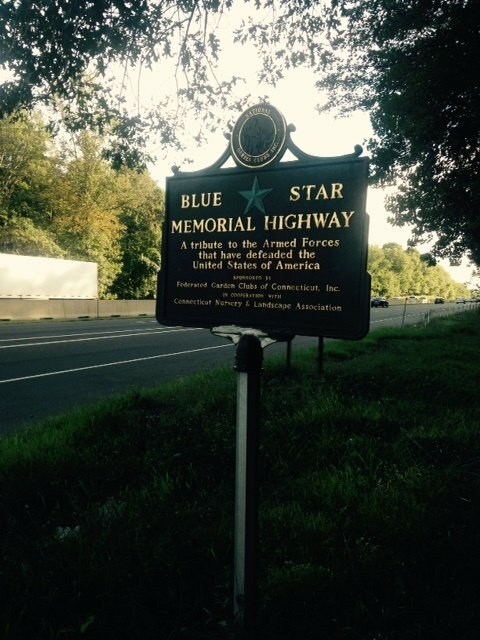 A Highway Marker is permitted on highways and in rest areas on designated Blue Star Highways. 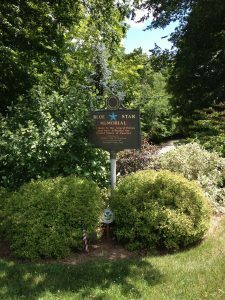 A Memorial Marker is permitted in National Cemeteries, VA Medical Centers and other civic locations. 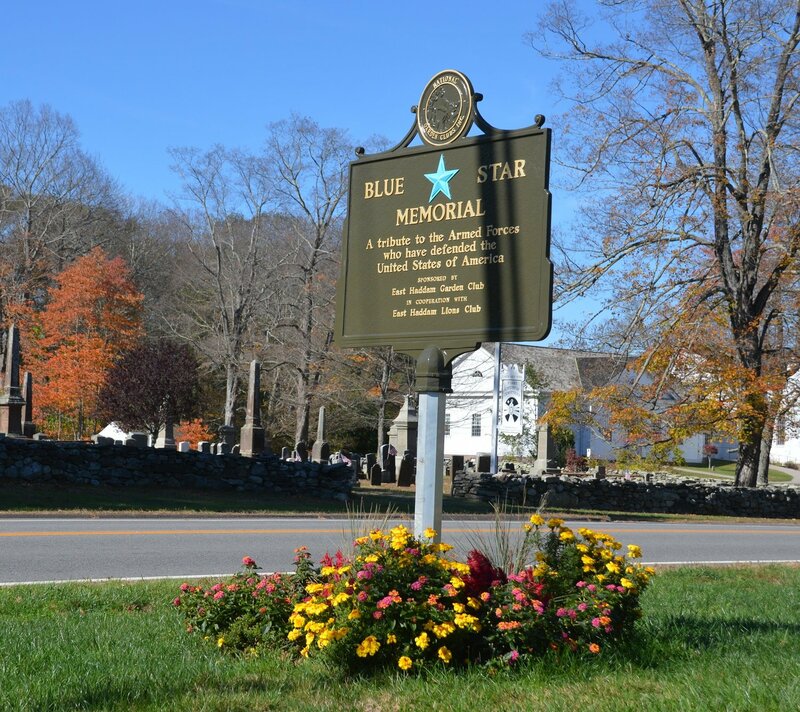 By-Way markers are permitted in parks, historical sites and other civic locations. 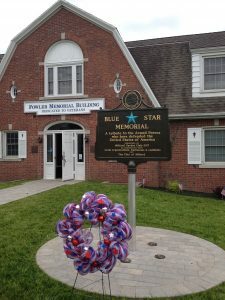 A slightly smaller gold star was placed on the blue star of a banner in a window to indicate a family member had lost his or her life in the service of our country. The organization “Gold Star Families” was created to support those families by coming together to offer hope and healing. 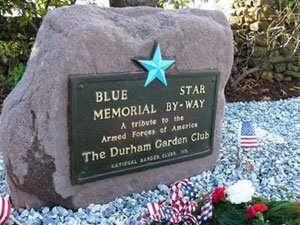 By-Way Markers and Memorial markers (but not Highway Markers) with a Gold Star honor all Gold Star Families. 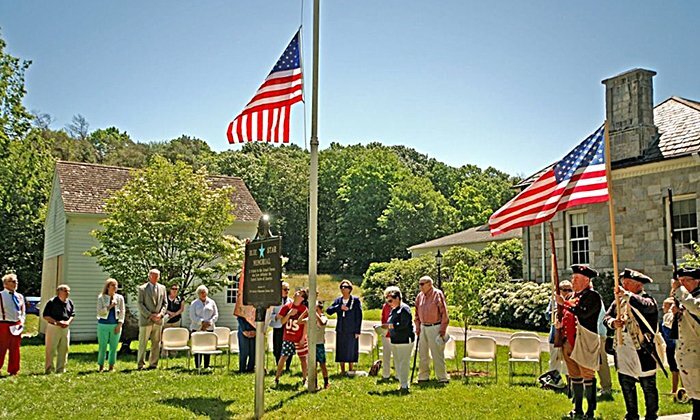 For more information about the project nationally and details about pricing and procedure, you may look at ONGOING PROJECTS of National Garden Clubs, Inc. on its website.